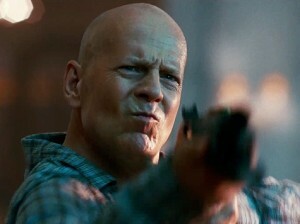 Check Out the New Trailer for ‘A Good Day To Die Hard’!!! Here is the second trailer for the 5th ‘Die Hard’ film, titled ‘A Good Day To Die Hard’. “John McClane (Bruce Willis) heads to Russia in this fifth installment of the Die Hard film series. Skip Woods (The A-Team) provides the script, with Max Payne’s John Moore directing.” I’m just going out on limb here, I doubt this will be any good. What do you think? This entry was posted on Friday, October 26th, 2012 at 10:04 am	and is filed under Film, News. You can follow any responses to this entry through the RSS 2.0 feed. You can skip to the end and leave a response. Pinging is currently not allowed. « Find Out Who’s On HBO’s ‘Real Time with Bill Maher’ This Week!! !